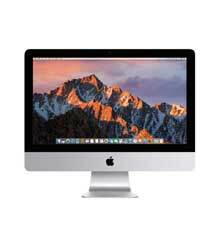 The 21.5 inch iMac features a brilliant widescreen display, powerful new seventh-generation Intel Core processor, superfast graphics, and more. All in a stunningly thin enclosure that’s only 5mm at the edge. Go to www.apple.com/imac/specs for a complete set. Please note:This product will be delivered from a third party and cannot be delivered to a PO Box. It may also be delivered separately from any other items purchased. Please note: This product is currently only available in MMQA2X/A. Don't have enough points? You can use your credit card to pay for the remainder.